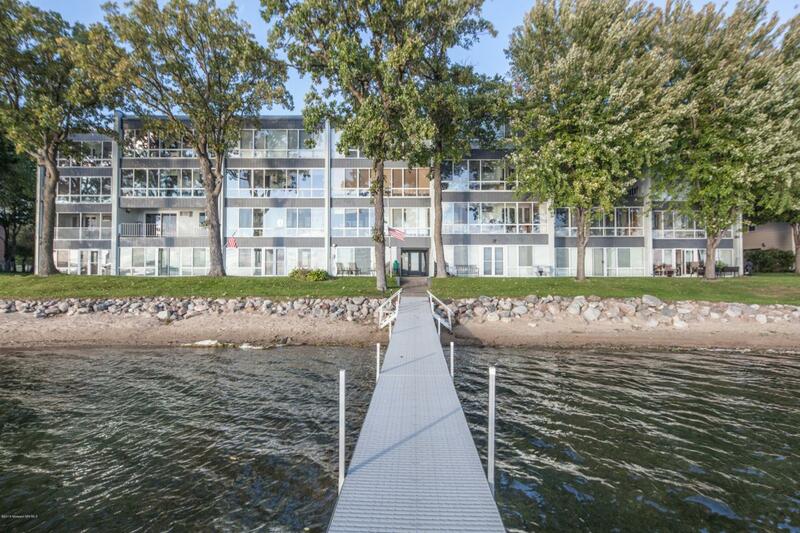 Enjoy all the benefits of lake life right outside your door and let someone else take care of the upkeep with this amazing 1 bedroom condo with a stunning view of the sandy shores of Detroit Lake. Located right in the heart of Detroit Lakes this condo features a secure building with elevators, an open floor plan, full bath, 3-season porch overlooking the lake, shared dock and so much more. Detroit is a 3,067 acre lake with 89ft maximum depth and 7.5ft average water clarity great for all types of water recreation.